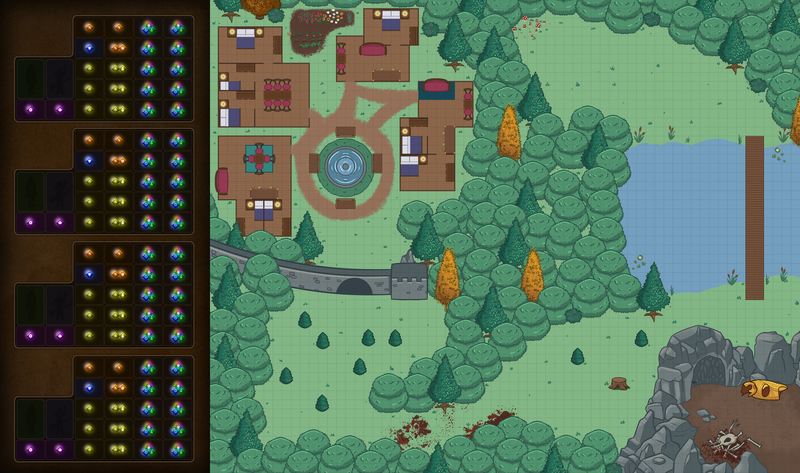 Hey guys here is a map from Season 2 that is an awesome mix of a town and outdoor adventuring areas. Another interesting way you could use this map in a campaign would be to start in the grassy fields or high bear cave and make your way into town as maybe either bandits or mercenaries. Credits to our very own Meganzoor as usual for this map.